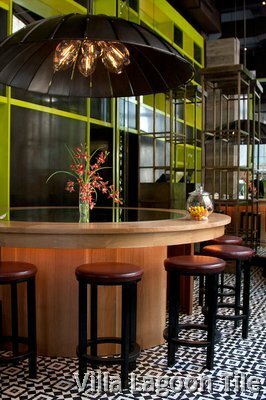 Brio Flatiron was a beautiful restaurant project in the Flatiron district designed by tonychi and associates of New York. 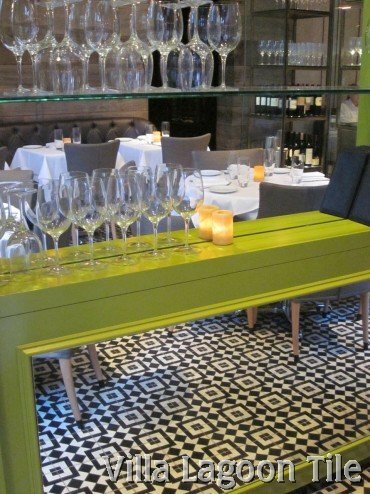 They used our "Marrakesh A" pattern cement tile throughout the restaurant floor, and have been fabulous clients, using our cement tiles for several commercial projects. 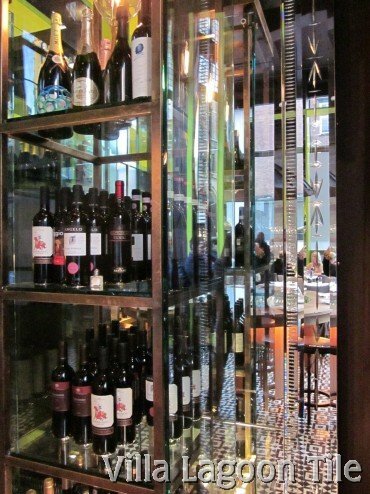 "Located at the corner of 21st and Broadway, in the shadow of the Flatiron building, Brio NYC serves wonderful (and wonderfully priced) regional Italian food in a beautifully appointed atmosphere." 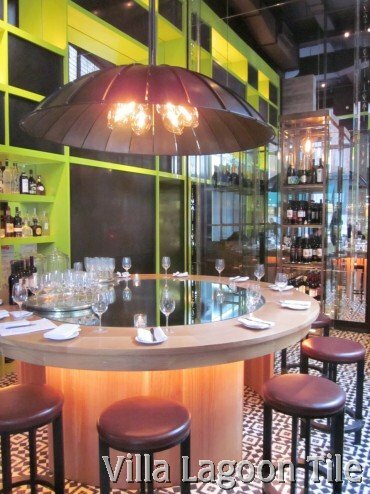 Read an informative review of the Tony Chi designed NYC restaurant Brio NYC on "'All the Best' Blog--A Passport of Stylish Living" by Ronda Carman (This post is now only found on the Internet Archive). We have borrowed these photos from her fun blog. You can order our Marrakesh A or Marrakesh B cement tiles in your choice of colors from the South Beach Collection.